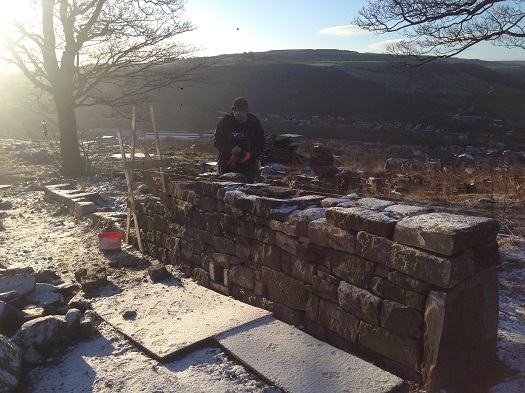 Another belt of work, running through February and March this year, saw Evoke reinstate two large stone walls on the west side of the site. 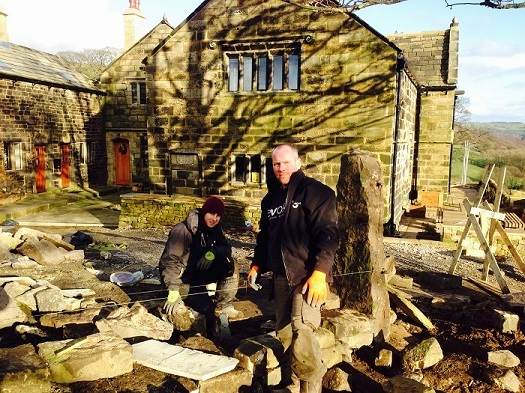 The dry stone wall took a four man team two weeks to create. The wall ran adjacent to the drive for over 30m, stood 1.5m tall and featured a gate opening into the garden, a sweeping bend, 3 weep holes drainage channels, a wet fixed Half Moon coping and traditional battered face to both sides of the wall. The second wet fixed wall ran down the west boundary of the site. 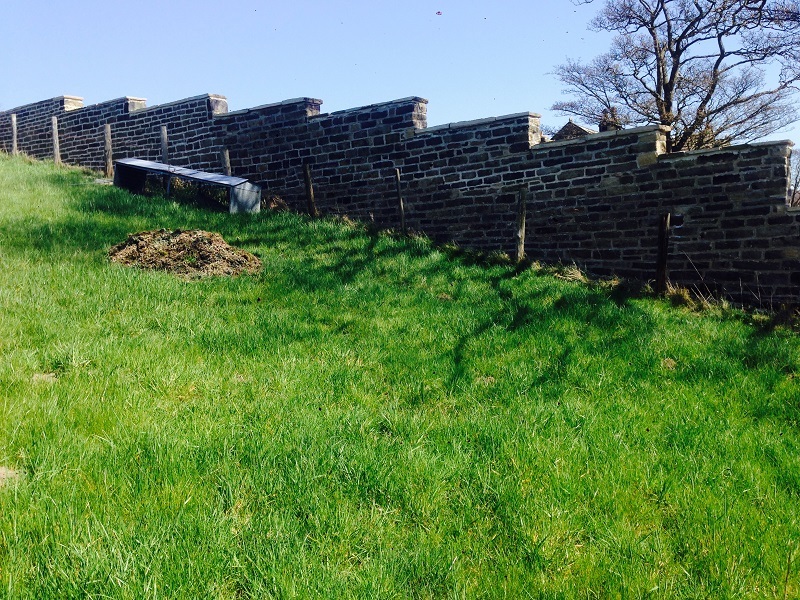 This posed challenge due to the incline of the hill and the size of the York Stone copings. 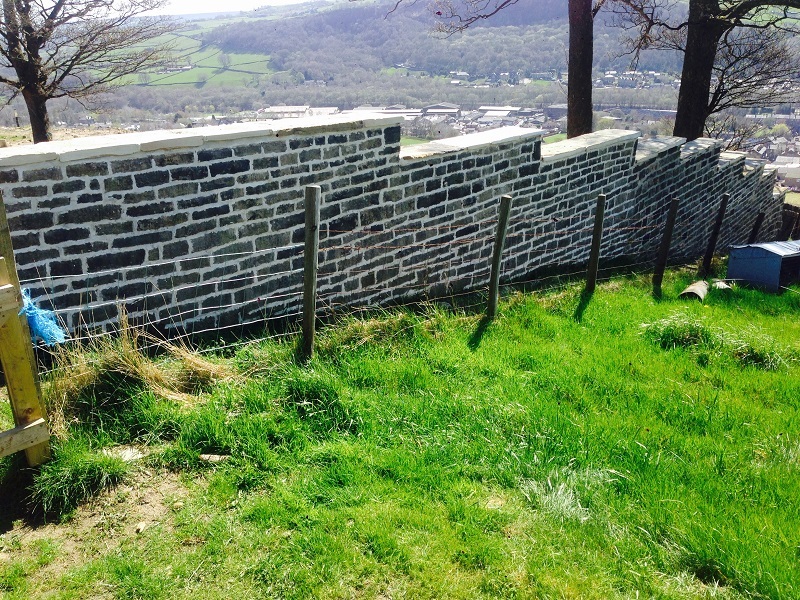 This wall ran for over 35m in length and stepped at around 8-10ft in height. 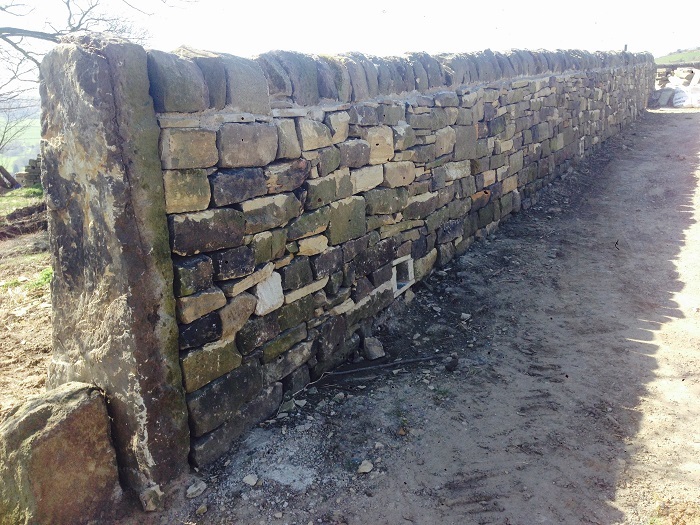 The wall contained over 2500 pieces of reclaimed stone, laid in a roughly coursed pattern throughout. Another 2 week build by a four man team. This then helped create and define the garden space that would follow in phase 3.